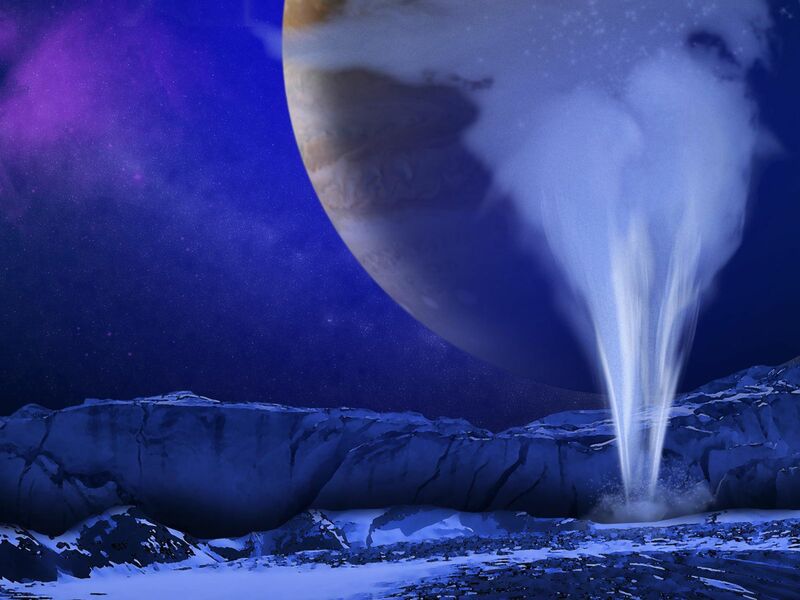 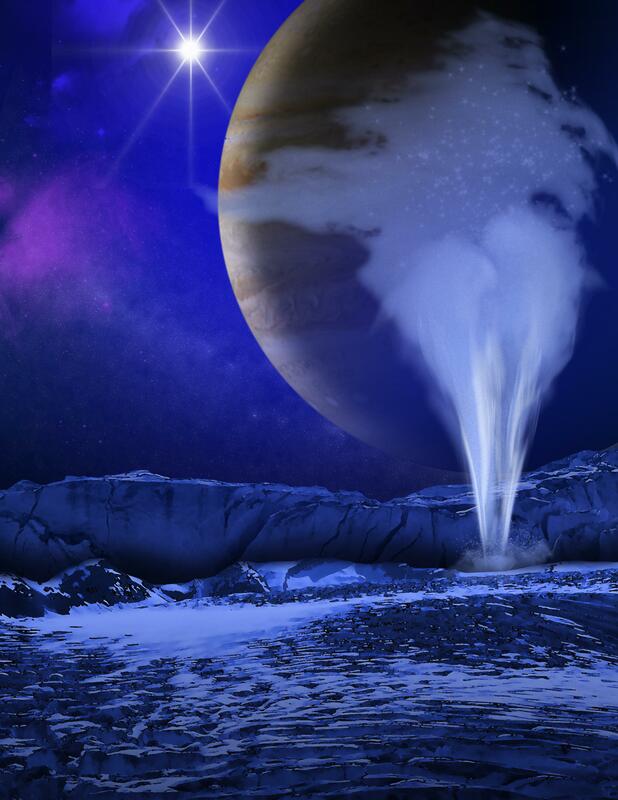 This is an artist's concept of a plume of water vapor thought to be ejected off the frigid, icy surface of the Jovian moon Europa, located about 500 million miles (800 million kilometers) from the sun. 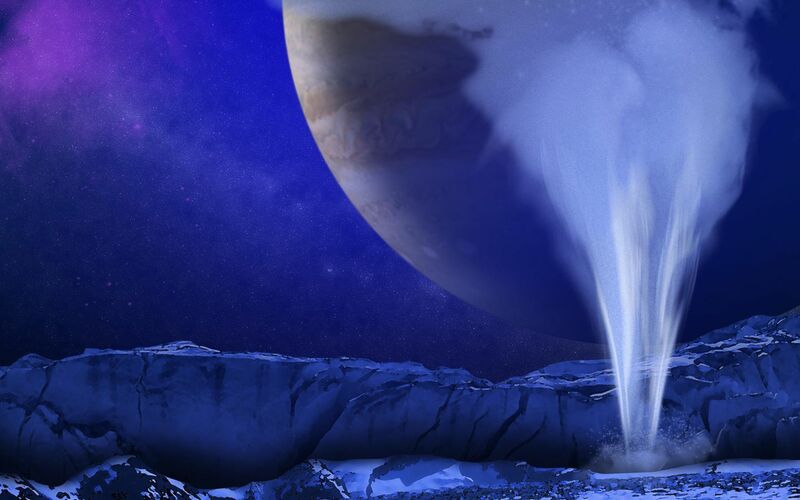 Spectroscopic measurements from NASA's Hubble Space Telescope led scientists to calculate that the plume rises to an altitude of 125 miles (201 kilometers) and then it probably rains frost back onto the moon's surface. 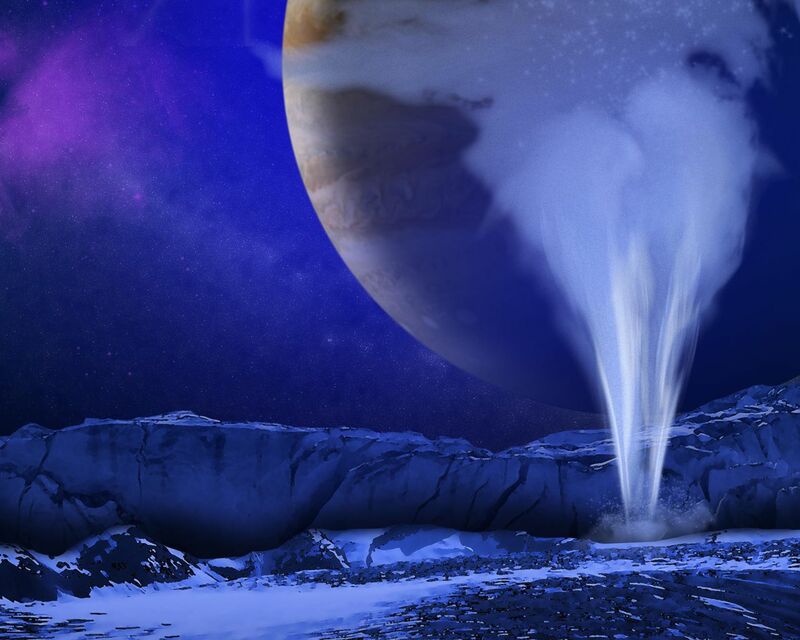 Previous findings already pointed to a subsurface ocean under Europa's icy crust.